By 1917 the Reconstruction that was to have secured freedom and equal opportunity for 4.5 million former slaves in the South had vanished. In its place was the vision of a “New South” that promised commercial success for the crippled region and profit aplenty for northern industry. Marring that vision, however, was the Jim Crow system built upon the legal separation of the races that was affirmed by the U.S. Supreme Court in Plessy v. Ferguson. By the second decade of the 20th century, most of the region remained an agriculture-dominated society that suffered from economic, educational, and cultural poverty and deprivation. The poorest of the poor were African Americans who lived in the country, for whom the dream of freedom was virtually extinguished. Public education in the South was generally lacking for everyone, including most whites, but the minimal support for rural black schools (where they even existed) was appalling. And yet, during the next 15 years, one man was responsible for planting some 5,000 seeds (242 of them in Georgia) in the soil of the rural South that helped to set in motion a reform movement to challenge the moral legitimacy of racial segregation. That man was Julius Rosenwald, and the history of the Rosenwald Schools is a powerful if somewhat hidden story that deserves new light. Born in 1862 and raised in Springfield, Illinois (within a few blocks of Abraham Lincoln’s home) during the Lincoln presidency, Rosenwald as a young man learned the clothing trade in New York and then made his way to Chicago. There, with his brother, he started a mail-order business targeted toward rural markets that would become the highly successful Sears, Roebuck and Company. In 1912 he accepted the offer to serve on the board of Tuskegee Institute in Alabama from its president, Booker T. Washington. 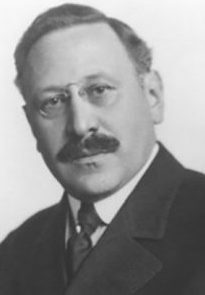 Influenced by Reform Judaism, Rosenwald easily embraced the cause of educating the South’s former slaves and their children. He also greatly admired Washington’s gospel of self-help, personal initiative, and industrial schooling. Rosenwald and Washington shared the belief that racial segregation worked its greatest harm through the perpetuation of inferior education and yet were convinced that it was in the realm of education that racism could most successfully be countered. Both were leery of challenging head-on so entrenched a system as Jim Crow. Instead, they cautiously sought a strategy to work “inside” the political reality of the South to improve education that would include soliciting the cooperation of local public school authorities as well as concerned whites. Working closely with Tuskegee Institute’s Clinton J. Calloway, who coordinated applications and grants, Rosenwald and Washington’s first step was to fund the building of six experimental rural schools in Alabama. Washington died in 1915, soon after the launching of this venture, but two years later, Rosenwald used his personal wealth to create a new philanthropic foundation. In today’s language, the primary goal of the Julius Rosenwald Fund was to perfect and “take to scale” the Tuskegee Institute model. As envisioned from the start, it would provide the architectural plans and oversight for locally constructed and indeed beautifully designed school buildings, shops, teacher cottages, and even privies in the South’s most disadvantaged rural areas. It was not a give-away program. Grants had to be matched by contributions from the local black communities as well as from “friendly whites” and local public school districts. The latter’s buy-in was important because the so-called Rosenwald Schools were public schools. “It is one of the great fundraising stories of history,” says Martin Lehfeldt, former head of the Southeastern Council of Foundations in Atlanta. The grinding poverty of African Americans in the South was actually exceeded by their generosity. Between 1917 and 1932, they contributed $4.7 million of their own money, plus countless hours of sweat equity, to match $4.3 million in grants from the foundation. More than 5,000 schools, teachers’ homes, and shops were built, including 242 schools in Georgia. In 1928 Rosenwald Schools accounted for 20% of all rural southern schools. The model blueprints for one-story Rosenwald Schools (buildings varied in size and capacity) adhered to progressive design principles of simplicity with purpose-built form and function. Standing out like “civic churches,” Rosenwald Schools were instantly recognizable in their country settings. The beautifully finished and freshly painted structures with gable roofs and batteries of windows announced the presence of community gems, a tangible assertion of dignity and equality. Schools doubled as meeting places and also as venues for local recreational activity (baseball diamonds appeared on some school grounds). Although nearly invisible a century later, the Rosenwald Schools bear witness to the struggle for human dignity. In the segregated rural South, community-built Rosenwald Schools offered thousands of children and their parents not only educational opportunity but also civic lessons in character building, discipline, community cohesion, and the example of leadership—precisely the ingredients of the successful civil rights movement that came later. Today, the State Historic Preservation Division, the Georgia Trust, the National Trust for Historic Preservation, and the Georgia African American Historic Preservation Network are actively working to identify, document, and preserve Georgia’s historic Rosenwald Schools, many of which went out of use in the modern era. With the assistance of state preservationist Jeanne Cyriaque (now retired, and a Georgia Humanities board member), local communities to date have identified 52 of the 242 schools built in Georgia, and preserved and restored about one-third of them. One such school about which we know a great deal is the Noble Hill School in Cassville, between Atlanta and Cartersville. Dr. Susie Wheeler, a 2007 recipient of a Governor’s Award in the Humanities, was a first grader at Noble Hill the year it opened in 1923. She completed her schooling, attended college, and eventually earned a doctorate from Atlanta University. During her long career she served as a Jeanes supervisor and curriculum director. When the state’s schools integrated, she moved into the position of Bartow County’s curriculum supervisor. According to historian Thomas Scott, “She played a major role in making integration work in that county.” Wheeler led the effort to restore the school, which reopened as a museum and community center. Even as this remarkable story was unfolding, a future president of the United States, stricken with polio, was making Warm Springs his second home. Before his election to the presidency, he promised the black residents of that town that they would get a Rosenwald School. In 1937, after his election, his Georgia friends gently reminded him of his pledge to them. Although the Rosenwald Fund had not made a school grant since 1932, President Franklin Roosevelt placed a call to Samuel Smith, who now headed the fund. Soon, Warm Springs had a new Rosenwald School—the last to be built in the South. Fittingly, it was named for another champion of equality: Eleanor Roosevelt.